This quilt is super cute and I love the fabric line they are using, Little Snippets by Bonnie and Camille for MODA. 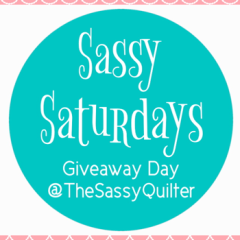 It’s not too late to join in if you are interested… just head on over to The Jolly Jabber blog by Fat Quarter Shop. The pattern is free, but proceeds are going to the Make a Wish Foundation, so donations are encouraged. You can find the quilt kit HERE and info on the fabric requirements HERE. Here is my Shooting Squares blocks… Block 3. A big 12.5″ block. And my cute little Shooting Squares blocks… Block 3 minis. These finish at 6.5″. 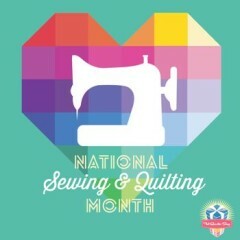 Please join in and quilt along! I started this quilt a couple years ago when I participated in 627Handwork’s Scrappy Trip Along. I only had a few blocks….. so to finish I asked the ladies in my guild if they wanted to join in and make one themselves. This is a pretty good size quilt, 60 x 72. I used a larger all over stipple to quilt this. Because of the larger design it has more of a soft and fluffy feel. I absolutely love how much variety you get in scraps when you quilt with a group! 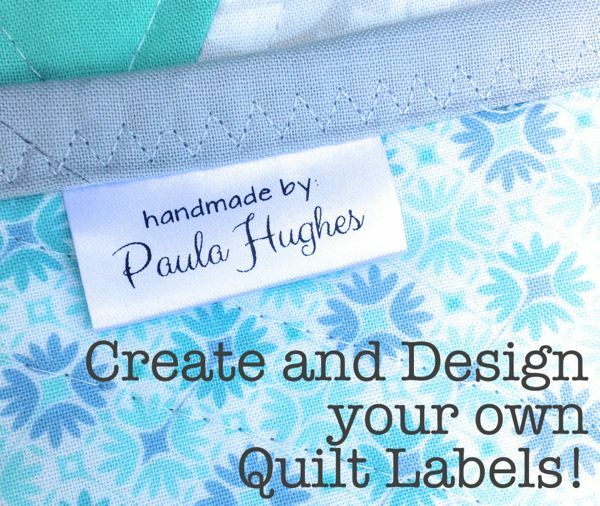 So if you ever want to do a quilt along with some friends, this is a great pick! You can find some great directions HERE at Quiltville. 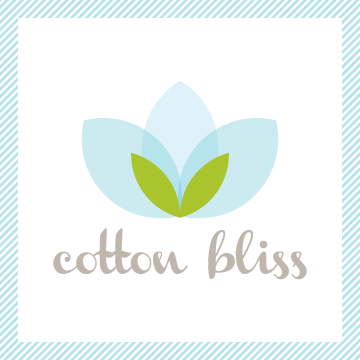 I am so excited to be at QuiltCon! We are in Nashville this year… I love the exciting cities they pick for us to visit! I am with two of my quilt besties. I love a good quilty road trip! It is such a huge show! You definitely need a few days to soak it all in. First stop for us was a couple of lectures…. 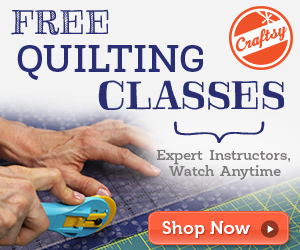 Building Your Quilt Practice and Free Motion Impact. Building Your Quilt Practice was not what we thought it was about, but turned out to be surprisingly inspirational. It focused more on how you practice your craft. 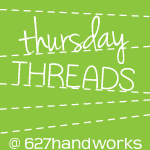 How to make time, how to find what you love and what you don’t, and how to make your quilting your own. My favorite quote from the lecture was…. The first thing we hit after the lectures was the VENDORS! 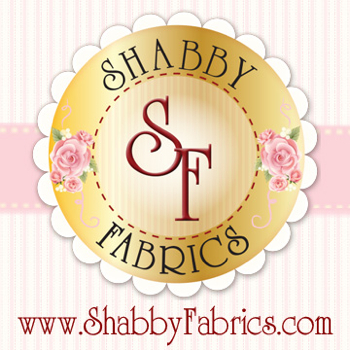 We just couldn’t wait to get our hands on some fabric. They have so much to look at we could barely make it through the first day…. we definitely saved some booths to go back to again. I got some great deals! 6.00 a yard and fat quarters for around 2.00. I definitely had to restrain myself!!! I also got some cork because I’m dying to try it on a zipper pouch. 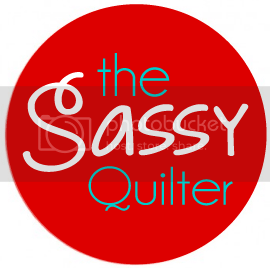 Tomorrow we will check out all the rest of the show quilts and hit up some local quilt shops… Can’t wait. 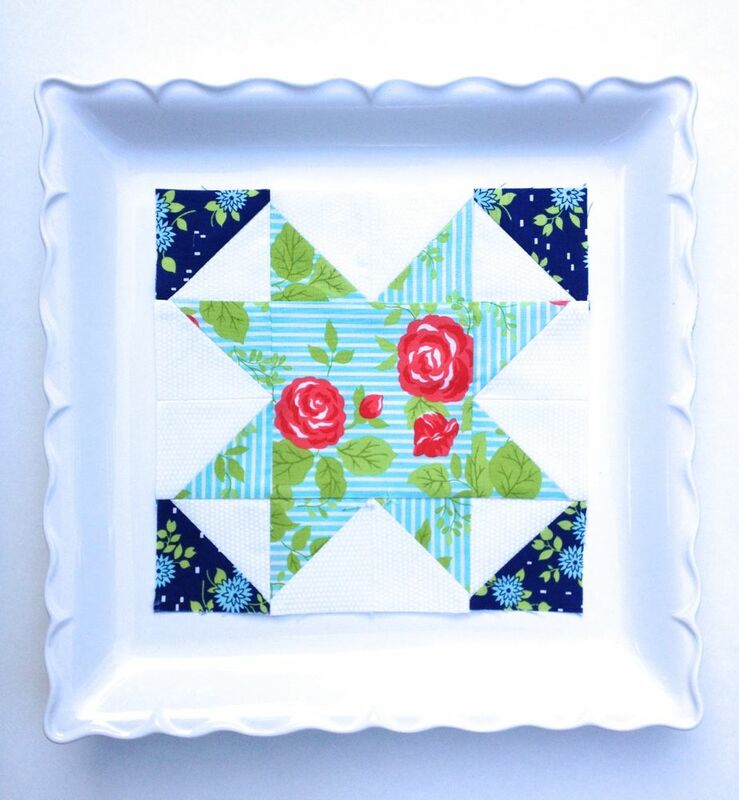 Here is my cute little Ohio Star blocks… Block 1. And my lovely little Nine Patch blocks… Block 2. These blocks are fun and not too overwhelming. Use binding cut on the bias when your quilt borders are curved, this has a stretch to it. Otherwise, use straight of grain. Binding can be a little tricky sometimes. I know you have probably seen some pics of people cutting their binding on the diagonal….why go through all that trouble if you can just cut it straight??? Fabric has a grain to it. When you cut binding for the straight edges of a quilt, you cut from the fold to the selvedge, you are then cutting on the straight grain. This type of binding is perfect for your general binding on your quilts. It is sturdy and if you pull on it you can feel that it has no stretch. When you are working with a curved border you need a little stretch or bend to get it to fit around your quilts edges. This is called bias binding because the strips are cut on the bias and give it lots of stretch and movement. A beautiful scalloped edge adds a unique touch to a quilts edges. The wedding ring quilt is full of curves! Bias or curved binding is also used as the main design in some quilts and needs lots of stretch to do what the designer wants it to do. CLICK HERE for a tutorial by Amy Smart of Diary of a Quilter to show you how to whip some of both types of binding whenever you need it. Wanna make a quick quilt? 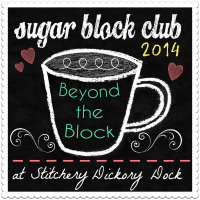 Grab a layer cake and some background fabric…. and here you go! This pattern was super easy and so fun to make. 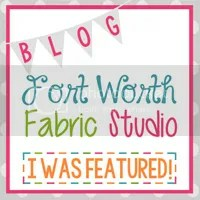 I was hesitant about the background fabric I picked… but I think it came out great! The colors really pop. This is another quilt is from a book dedicated to all things layer cake! I’m slightly obsessed, lol. While trying to get a good pic of this top I took this one and thought it was so pretty because it looked like Stained glass. Hope you guys are up to something crafty!